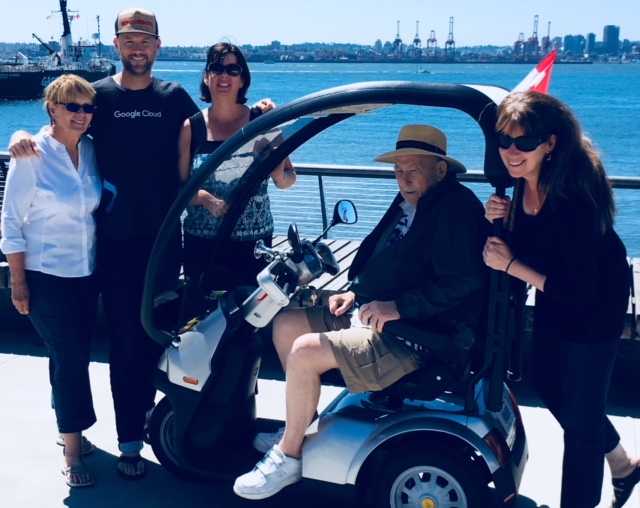 This family of former Capilano University students includes (left to right) Trudy Hubbard (mother), Dan Hubbard (brother), Kelly Hubbard (sister), Ernie Hubbard (father) and Lisa Hubbard. Hubbard enjoyed her work there so much she enrolled part-time in Capilano’s Early Childhood Care and Education (ECCE) certificate program. After she received a grant to help fund her education, she studied full-time. Hubbard earned her ECCE certificate in 1991 and then quickly landed a job at North Shore Neighbourhood House. She continued taking courses and completed her ECCE Special Needs certificate at Cap in 1995. Hubbard worked in nearly every program offered at North Shore Neighbourhood House before assuming the role of executive director in 2011. In 2014, Capilano University recognized Hubbard’s accomplishments with a Distinguished Alumni Award. It wasn’t until they had gathered to see her receive the award that Hubbard’s family realized every one of them had studied at Cap. In the late 1980s to 1995, her sister, brother and mother all completed diplomas in business administration. Hubbard’s father was so inspired by his loved ones furthering their education that, even though he’d been a successful businessman for decades, he completed his high school diploma online and then took drafting and computer science courses at Capilano University, at the age of 68. A third generation, Hubbard’s son, studied at CapU last year. Hubbard’s links to Capilano University continue. Most of the staff at North Shore Neighbourhood House completed programs at CapU and the neighbourhood house partnered with Capilano University in the Scotiabank Charity Challenge half marathon and 5k on June 24, 2018. Half of the more than $20,000 raised will fund student bursaries at CapU and half will support young people in education, housing, transportation, food security and a broad range of family support services at North Shore Neighbourhood House.